Men and women with an extremely high hairline may feel self-conscious about their appearance. To help hide the forehead, many women will attempt to wear their hair in certain styles while many men simply wear a baseball cap whenever they can. 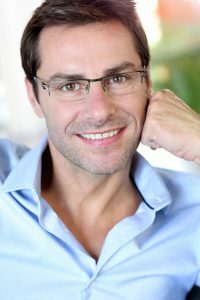 Hairline lowering is a surgical technique that can help improve facial symmetry between the upper and lower halves of the face while also providing you with a boost in self-esteem. The procedure for hairline lowering typically takes two hours to perform. During the operation, patients are under the care of our dedicated anesthetist to maximize their comfort. The existing hairline is lowered about ½ inch to 1 inch while excess forehead skin is removed. The incision is carefully hidden along the new hairline for a natural appearance once the healing process is complete. For patients who seek to lower their hairline even further, a hair transplant procedure can be performed after hairline lowering. Afterward, you can enjoy greater harmony among your facial features and feel more confident in your appearance. For more information about our hairline lowering procedure, or to schedule an appointment, please contact our office today.